Australia's first-of-class landing helicopter dock ship is closer to initial operational capability following completion of a graduated test and trial program. 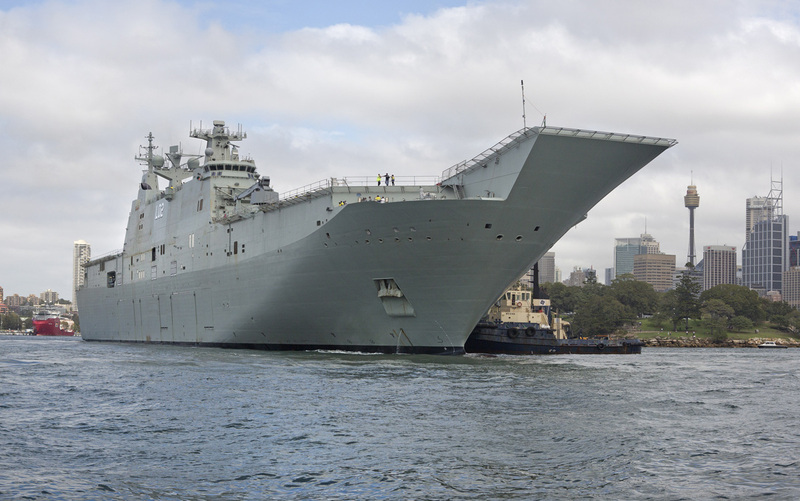 The second LHD, meanwhile, has completed her second and final sea trials prior to delivery to the Royal Australian Navy. The Canberra-class ships will be the largest vessels operated by the Royal Australian Navy. They are about 757 feet long, displace more than 30,000 tons and have a maximum speed of 20 knots. Range is 9,000 nautical miles.